A startup making a Wi-Fi wine bottle announced on Wednesday that it’s shutting down. In a note to customers, it blamed last year’s Napa, California fires for slowing the growth of the company. Kuvée, a startup making a wine bottle with a colour touchscreen that connects to Wi-Fi, announced in an email to customers on Wednesday that it is shutting down. The bottle, called Kuvée FreshPour, promised to keep wine fresh for over 30 days. 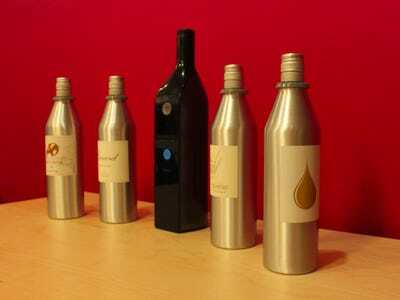 But it only worked with cartridges filled with wine sold by Kuvée, which you could order from the bottle’s touchscreen. A bottle and four cartridges cost $US178 ($AU230), and you could subscribe to regular cartridge shipments from a range of vineyards. It seemed to be an idea many people liked. Early bird preorders on Indiegogo sold out in three hours, and it had raised $US6 million ($AU7.8 million) from investors including General Catalyst and Founder Collective. It was covered in Vogue, the Today Show, and Wired. Tech Insider called it the “Keurig for wine” when we reviewed it in 2016. The end of Kuvée the company also means the end of the useful life of its product, as the company won’t be making new cartridges after the old ones sell out. Cartridges are currently on sale for 50% off. “The last year’s Napa fires, affected our ability to scale our customer base over the holiday season and hence our ability to raise the funds required to continue building awareness of Kuvée,” he wrote. Kuvée and Manwani didn’t immediately respond to emails. Thank you for being our companion in our journey to redefine the wine experience. Wine is meant to be enjoyed by the glass (not by the bottle) and four years ago, we built Kuvée and a great portfolio of wines to deliver just that experience. Building a better wine bottle, the Kuvée FreshPour bottle, that keeps wine from spoiling for 30 to 60 days, was no easy task. It took an enormous amount of innovation, sensory testing and collaboration with open-minded and forward looking winery partners to make that a reality. 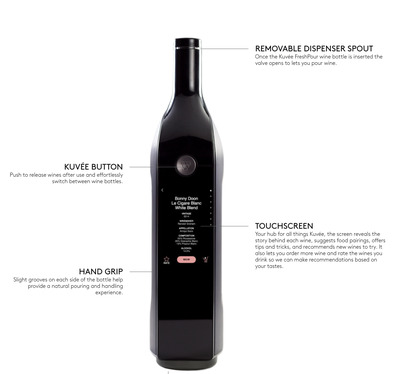 Combined with our Kuvée Connect dispenser and the Kuvee.com website, we delivered a wine experience that freed you, our customers, to enjoy wine on your terms – what you want, when you want them. We achieved all of this with an amazing team of 20 passionate and highly skilled professionals, all driven by the common goal to deliver this better wine experience. However, it became clear that, to properly educate the market, we would need a much louder voice and considerably more capital. The last year’s Napa fires, affected our ability to scale our customer base over the holiday season and hence our ability to raise the funds required to continue building awareness of Kuvée. Therefore, it is with great sadness and a heavy heart we are announcing that all Kuvée business operations will cease effective today. We will continue to seek a partner that can acquire or leverage the Kuvée technology and bring it to market at part of their own business model, as soon as possible. Until that time, please accept our sincerest apologies and understand how deeply this affects all of us here at Kuvée. To thank you for your early support (and as part of our transition planning) please consider purchasing Kuvée wines at a 50% discount until the end of the day, Monday March 26, 2018. Stock up while you can, We do expect the better wines to sell out quickly. This discount will be automatically applied to the remaining subscription orders that will go out this month. Again, we want to thank you for your support, business and trust. We still believe the next generation of wine drinkers deserves a better wine experience. We hope Kuvée will be an inspiration for a future product or wine service that delivers this experience.